Well, I have know about the Modern Quilt Guild Challenge now for several months, and since the deadline is July 31st, I figured it was time to make a start on this beautiful pile of The Cottage Garden Prints by The Quilted Fish for Riley Blake Designs. So this morning, I started pressing all of my Fat Eighths hoping for inspiration to strike on what I wanted to make with them. And as I was pressing, I turned around and noticed my pile of Irish Chain Quilts, and how it is half as high as it once was as 8 quilts are out on a shop hop. And bam perfect project!!! Make some more quilts from Irish Chain Quilts!!!! I decided right off, that this fabric and challenge was perfect for Unraveled. I can't wait to start cutting!! Um, yes, I think today would be a great day to start your project! I seem to leave things until the last minute, too, and then fly to get them done and usually do. What a beautiful assortment of fabrics you have to create your Unraveled quilt with. 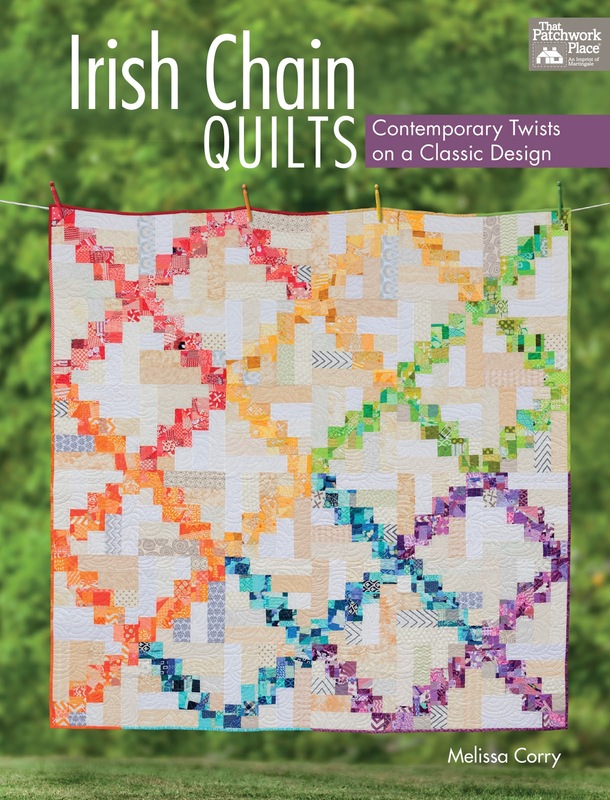 I have your book on my wish list, Irish Chain quilts are one of my favorites to create. But, I have always just followed a pattern and never imagined the patterns that you have created. They are magnificent and hopefully for my Bday or Christmas, I will receive a copy and begin creating each and every one of your patterns. Thank you for sharing and have a wonderful day creating! 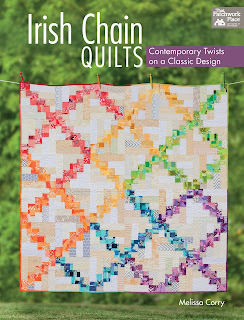 I picked up your Irish Chain Quilts book this weekend from a LQS. It was not my usual LQS since my bee did a bit of shop hopping around for a day of fun (and BBQ!). So excited to see it in person, and I might have got the last copy they had on the shelf! Now that I have my very own copy, I need to start making an Irish Chain Quilt! Yay! Great choice! I have more books than I can use already, but good to see these yummy fabrics. So you use fat eighths for this? I have a fat eighth bundle I'm holding on to for the perfect project.